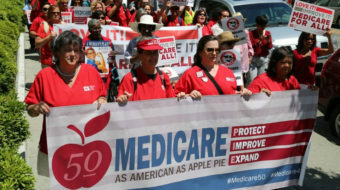 AFL-CIO President Richard Trumka called the passage of health care reform “not a baby step or half measure,” but “a solid step forward.” The AFL-CIO leader said that the reform measure “survived a $100 million lie and distortion campaign by Big Insurance to kill it, the same kind of scare tactics these groups have aimed at health care proposals for six decades.” While labor saw health reform as a step toward single-payer Medicare for All, the “limited government” Republicans saw it differently. The GOP took to court its arguments that health care legislation 1) is unconstitutional, 2) is too costly, and 3) infringes on our freedoms. Despite the hypocritical “limited government” claims, the lawsuits are not only without merit, but also raised at taxpayer expense. To shield “that aristocracy of monied corporations” from taxes and regulations, today’s ultra-right Republican Party continues to use “limited government” against the nation’s best interests. 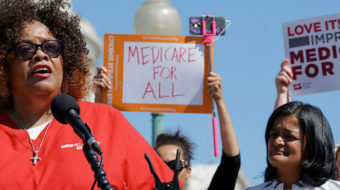 In particular, since there is no mention of health insurance in the Constitution, the GOP claims health care reform, the public option, and Medicare for All are unconstitutional. Even Medicare would be unconstitutional by current GOP standards. Such claims are historically and morally incorrect. 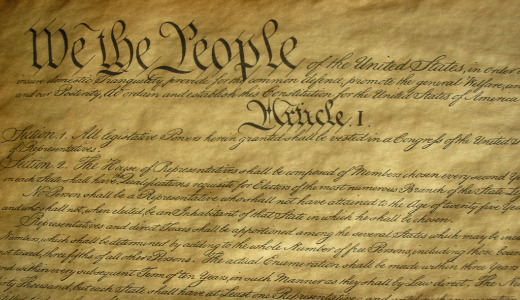 An 1819 Supreme Court decision, authored by Chief Justice John Marshall, defined Congress’s implied powers: That body (Congress) is to “perform the highest duties assigned to it, in the manner most beneficial to the people.” Those words remain law. Ultra-right Republicans advance a second, also fraudulent, argument for limited government (at taxpayer expense). They claim that the costs of health care and other social programs are too large and increase the federal deficit. What they are not telling us is that corporate waste alone would cover national health care without adding to the deficit, according to numerous government studies. The federal deficit would be eliminated if tax loopholes were eliminated and tax rates were so steeply progressive that Warren Buffett would have a tax rate that is not lower than his secretary’s tax rate, as it is now, but many times higher. The third charge that the Republicans are bringing to court (at taxpayer expense) is that health care reform violates our freedoms. The new mandate requiring Americans to buy health insurance is “the most egregious, unconstitutional legislation that we can remember,” said South Carolina Republican Attorney General Henry McMaster. He is among more than a dozen state attorneys general who have filed a lawsuit asking the courts to declare the mandate unconstitutional because it is “an unprecedented encroachment” on the rights of individuals and the states by the federal government. However, he failed to mention the Republicans who have proposed health care mandates. 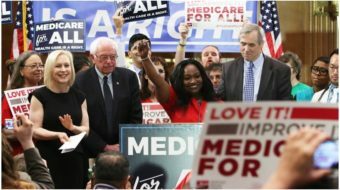 Despite the bluster, the insurance purchase requirement would be unnecessary under single-payer Medicare for All.